WEDNESDAY, NOV. 28: It is intended that 2013 will herald the start of a new era for real estate in Bermuda. Work has been under way for several years now to establish a system of registered land for the island. Presently there is no public record of land ownership in Bermuda, a fact that non-Bermudians often find surprising, to say the least. The shift to a registered land system is probably long overdue. 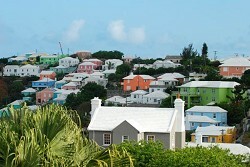 Currently, the conveyancing system in Bermuda is based on practices that existed prior to 1925 in the UK and on a body of legislation, some of which is archaic, and there are various levels of complexity that arise in the event that a property is, or has in the past, been owned by non-Bermudians or companies. On a sale or transfer of title to a property, an attorney must review the title deeds to ensure there is an unbroken chain of title for a minimum of 20 years. Due to the many quirks of Bermuda real estate laws, this process is not always as straightforward as it sounds and the person reviewing title needs not only to understand the current laws but also the laws that applied at the time of each transfer of the property during the chain of title. It is intended that as from January 2013 a system of registered land will be introduced. From then the majority of dealings in land will trigger a requirement to apply for first registration. Initially there will be little difference from the public’s perspective. The process for anyone buying, selling or mortgaging a property will remain the same in that the attorneys will still have to review title in the age-old manner. However, following completion of the transaction, the title deeds will be submitted to the Land Title Registration Office (LTRO) for first registration. Title to the property will be registered and from then on, when there is any subsequent dealing, the attorney will only need to review the official register at the LTRO, which will be proof of the registered owner’s title. The Land Title Registration Act 2012 sets out various triggers for the registration of title. The most obvious is on a sale of a property. However, Government’s aim is to ensure that Bermuda moves to a system of fully-registered land as soon as possible and so the Act also provides for various other triggers such as a new mortgage and, where land is held under trust, a change in the trustees. It also provides that title to a property must be registered before any application can be made for subdivision approval registration or for registration as a primary family homestead. The fee for first registration has been set at 0.1 per cent of the open market value of the property. This applies regardless of the value of the transaction that triggers the first registration. The fee payable for the first registration of a property valued at one million ($1,000,000) will therefore be $1,000. This fee will be charged in addition to the current conveyancing costs. However, land owners will be faced with other incidental costs. On registration, a property will be given either an absolute title which, as the name suggests, is the best class of legal title, or a provisional title. This will be awarded where the Registrar deems title to be less than perfect. Following registrations with such title there will be the ability to apply for an upgrade in title to absolute depending on the circumstance. As mentioned above, conveyancing law and practice in Bermuda is based on a body of legislation, some of which is very old. In some cases even experienced practitioners may have different views as to what amounts to a “good and marketable” title. The Land Title legislation is therefore being introduced on top of a system that is cracked and flawed without any attempt to rectify the issues. As a result, land owners may find that their properties are registered with a provisional rather than absolute title, and it remains to be seen what effect this will have on the value of such properties, particularly in the current weak market. Will purchasers be willing to buy a property registered with a provisional title and will banks be willing to lend on such properties? The answer may depend on the reason of registration with provisional title but currently this is unclear. It is worth noting that the Act allows banks and other mortgagees to apply for first registration of a mortgaged property without the consent of the land owner. It remains to be seen whether any of the banks will choose to exercise this right and, if so, whether they will pass the costs on to their customers. Francesca S. Fox is an associate with Conyers Dill & Pearman. To contact Francesca email francesca.fox@conyersdill.com. Which buildings deserve top design honours?